HZPC are delighted to introduce Violet Queen. These beautiful purple potatoes are for the modern consumer! Violet Queen Potatoes are colourful, tasty and different: a painting on your plate! Oval to long-oval tubers with an attractive purple skin and deep purple flesh. 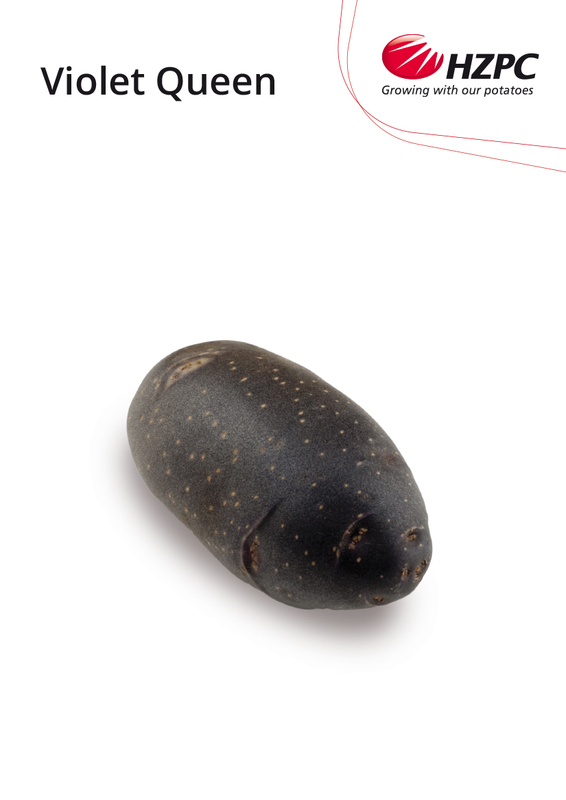 Tubers are medium sized and with a higher plant population, Violet Queen can be grown for creamer potatoes. Good resistance to common scab and tuber blight. Excellent culinary quality, cooking type AB (Rather firm). Main market; fresh consumption but Violet Queen is also suitable for French Fries. Violet Queen has a long dormancy and good storability.